Founded in 2000, the Institute contains the first shedra (Buddhist university) for women in the history of Bhutan allowing them to receive traditional education on a par with the greatest Buddhist learning centers for men in all of India and the Himalayas. 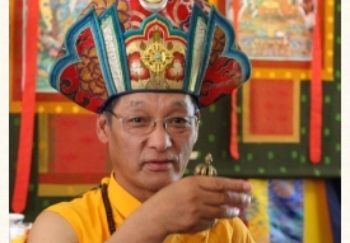 In 2005, Gangteng Tulku Rinpoche first visited the villages of Leo, Chuling and Hango located in Kinnaur – a beautiful mountainous region in northern India. This place has a special connection with the terma teachings of Pema Lingpa, and in particular with Gangteng Tulku, because in this very place the first Gangteng Tulku – Pema Trinley Tsel – gave teachings for a period of time. First time in the West, Gangteng Tulku will establish a retreat center for his students in Europe and elsewhere in a small village of Umbusi in the middle of Estonia.